You can make this Autumn themed doll or figurine to celebrate fall, using an acorn cap for the hat and making a leaf out of felt for the “wings” of this little Autumn Fairy. 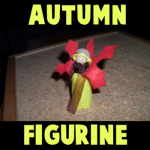 This is a great Autumn-time craft that you will enjoy. Nature is beautiful so why not take advantage of that natural beauty to create a fun craft. Find either a sea shell or a snail’s shell on the beach (or wherever). 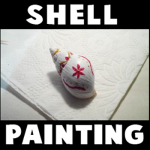 Then get the paints out and get creative! 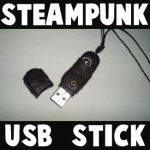 Learn how to take a normal USB memory stick and decorate it with paint and random objects…turn it into a Steampunk masterpiece.You can then wear it around your neck as a special pendant necklace. I have a fun Christmas craft for you today. In this post I will show you how to make a Winter Angel Christmas Ornament. This Angel Christmas Ornament turns out amazing looking. It would look spectacular on your Christmas Tree. You could also make this Winter Angel Christmas Ornament as a gift for your friends and family this Christmas. They will surely love it. This will surely be a Christmas Ornament that they will save for a long time….. proudly representing something you made yourself. So, let’s get started. Crafts come in all different kinds of forms. Today I’m going to write about Edible Crafts. And, not just any edible crafts, but Edible Christmas Crafts. YUMMY!! Whether you are planning a Christmas party, Christmas decorations or just want to have fun with your kids…. Edible Christmas Crafts will be enjoyed by all. I scoured the internet looking for yummy edible crafts and I came up with 16 awesome ones that will get your stomach growling. So, without further ado here is a collection of awesomely yummy edible Christmas crafts for your enjoyment. I have a special little Christmas craft for you older kids and adults. Today I’m going to show you how to make a Christmas Fairy Ornament. This cute fairy even has a crystal light she is holding. The crystal will look as it is really lit when the Christmas tree’s lights shine through it. 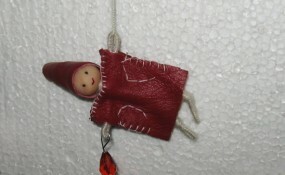 This Christmas Fairy Ornament will be sure to get you in the Christmas spirit…. after all Christmas is less than a month away. So, grab the materials needed and let’s get started. I’m sure you have all heard of the edible Easter Bunnies you get for Easter…. they are usually milk chocolate bunnies or white chocolate bunnies. 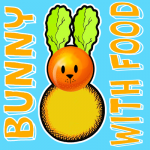 Well, today we are going to make an edible Easter Bunny, but it is going to be made with fruits and vegetables. That’s right…. I’m going to show you how to make a Bunny Rabbit with Food for Easter. When you are finished making the Easter Bunny you can display it proudly as an Easter decoration or eat it up… the choice is yours. So, let’s get started. 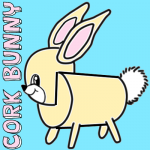 I have a fun and creative craft for you in this post….. today I’m going to show you how to make a Cork Bunny. Made from a cork, toothpicks and a template this craft turns out really cute. It is a perfect craft for Easter. 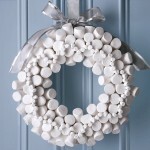 Make a few and decorate your house in time for Easter. You will need some help from an adult as there is a part in this craft that a knife is needed. An Adult should do this section of the craft. So, grab the materials needed and let’s get started. 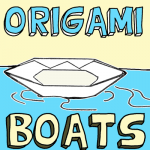 Today I’m going to show you how to make Origami Boats. When made with waterproof paper like waxed paper or cellophane these Origami Boats will actually float. Use them in the bathtub or in a puddle outside. 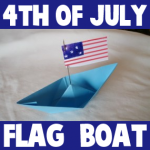 Not only is this craft fun to make, but it is equally fun to play with the Origami Boat once made. 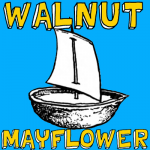 You can even add toothpicks to the boat to give the illusion that the boat has oars. So, grab the materials needed for this craft and let’s get started. I have a cool craft for you today. 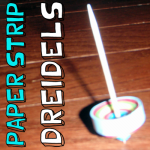 I’m going to show you how to make a Paper Strip Dreidel. This Dreidel craft actually produces a Dreidel that actually spins. Not just spins…. but spins amazingly well. So well in fact that I also am giving you the Dreidel game instructions so that you can use your Paper Strip Dreidel to play with your friends. So grab the materials needed and let’s get started. 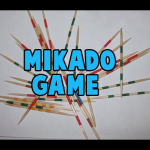 Mikado is a very old pick-up sticks game. 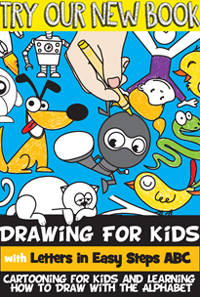 It is also a very funny and captivating game that most kids will love. Today we will show you how to make a miniature Mikado Game Set with toothpicks and paint. This is easily transported so it would be great for playing in hotels while traveling. Have fun. 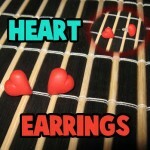 Learn how to make these adorable polymer clay stud hearts (aka heart earrings). You can give these stud hearts to your Mom, Grandma, friends, etc to show them how much you care about them…especially for Valentine’s Day, Mother’s day, or a birthday. We will show you how to make this cool polymer clay heart keychain…a perfect gift to give to somebody you love or a good friend on Valentine’s day or to Mom on Mother’s Day or for a birthday. 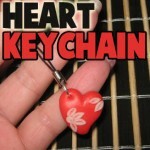 This polymer clay key chain is a cute heart adorned with flowers … perfect to decorate your phone, backpack, purse, etc.